Gov. George Wallace blocks the entrance to the University of Alabama as he turned back a federal officer attempting to enroll two black students at the university campus in Tuscaloosa, Ala., on June 11, 1963. Gov. 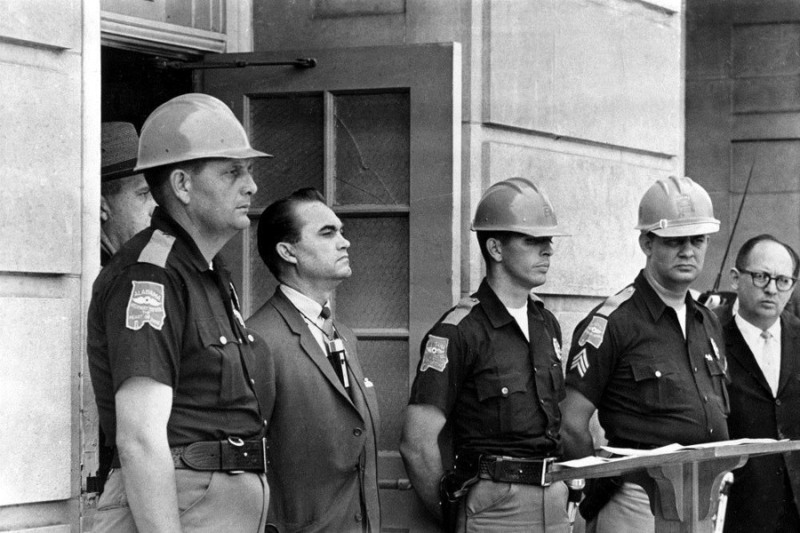 George C. Wallace carries out his promise to stand in the doorway to prevent integration at the University of Alabama on June 11, 1963. 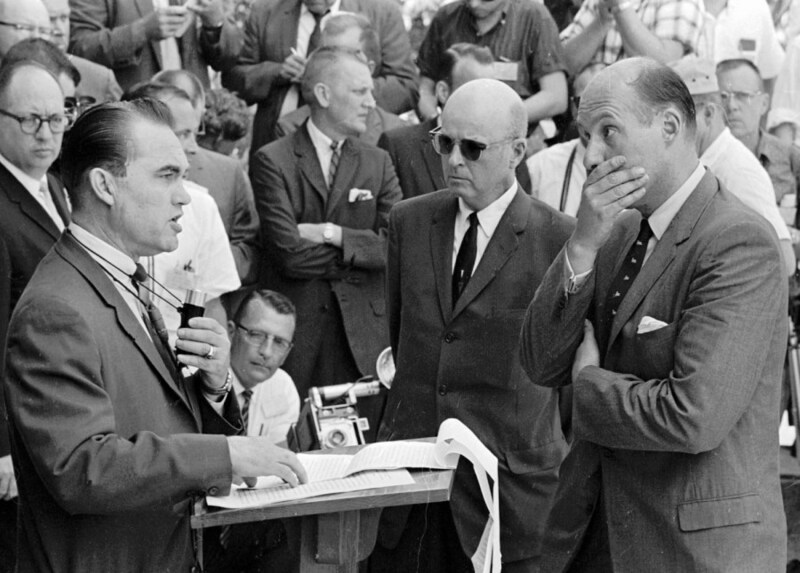 At right, Nicholas Katzenbach, deputy attorney general of the United States, listens intently to Wallace. At Katzenbach's right is U.S. Marshal Peyton Norville. Vivian Malone and James Hood register at the University of Alabama in Tuscaloosa. 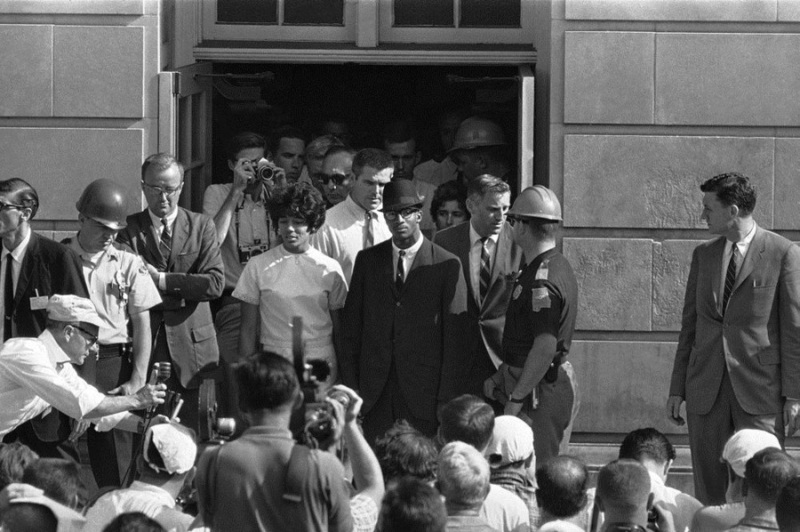 Vivian Malone and James Hood stand in the doorway of Foster Auditorium to hold what they called their "first and final news conference" after the two African-American students registered at the University of Alabama on June 11, 1963. Earlier, Gov. George Wallace had barred their way from the same doorway. 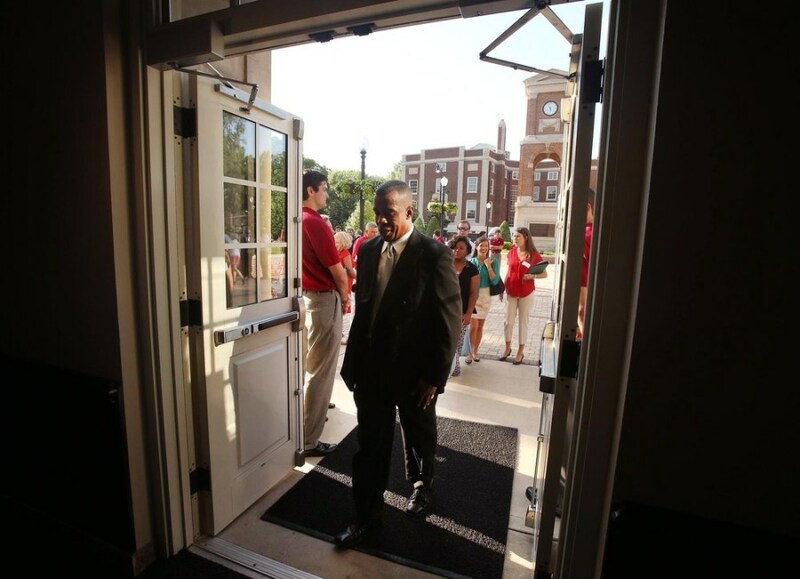 Darrell Hood, son of James Hood, enters Foster Auditorium for "Through the Doors" an event commemorating the 50th anniversary of the stand in the schoolhouse door, on the campus of the University of Alabama on June 11, 2013. Fifty years ago, on June 11, 1963, Gov. George Wallace stood in the doorway of the Foster Auditorium, physically barring two African-American students, Vivian Malone and James Hood, from entering. Wallace, who proclaimed the rallying cry in his inaugural address, "Segregation now, segregation tomorrow, segregation forever," was determined to keep a campaign promise to block integration at the university, reflecting a sentiment felt in much of the Deep South. Deputy Attorney General Nicholas Katzenbach delivered a stern warning in front of media and hundreds of onlookers, asking the governor to "responsibly step aside" -- but he boldly refused. That afternoon, President Kennedy federalized the Alabama National Guard to force Wallace to stand down. And the governor, flanked by state troopers, peacefully stepped aside. With that, Vivian Malone and James Hood walked through the doors, past Wallace, and into history. Read more about how the schoolhouse door stand influenced one current-day student at the University of Alabama. 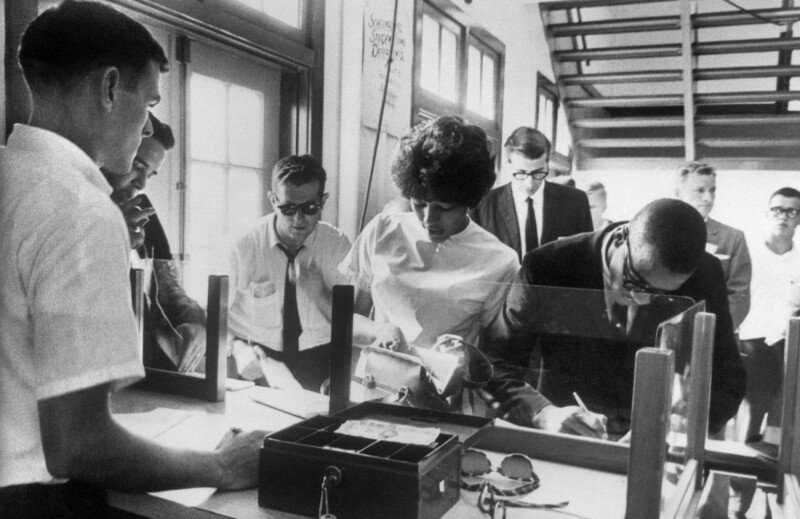 One University of Alabama student has big dreams, motivated by the students who fought so hard to get an education there in 1963. NBC's Lester Holt reports.